James Adam Belushi, commonly known as Jim Belushi, is a famous American film and television producer, actor, film score composer, as well as a comedian. To the public, Jim Belushi is perhaps best known for his appearance alongside Courtney Thorne-Smith, Kimberly Williams-Paisley and Taylor Atelian in the sitcom called “According to Jim”. Created by Tracy Newman and Jonathan Stark, “According to Jim” first aired on television screens in 2001, and was met with rather favorable critical reviews. The first season of the show managed to attract an audience of 10 million people, while its latest, ninth season was watched by approximately 3.8 million viewers. Aside from appearing on “According to Jim”, Jim Belushi is also known for his many appearances in films, among which were “Gang Related” with Tupac Shakur, James Earl Jones and Lela Rochon, “Snow Dogs” starring Cuba Gooding Jr., and Roman Polanski’s “The Ghost Writer” with Ewan McGregor and Pierce Brosnan. More recently, in 2014 Belushi voiced a character in Will Finn’s animated film called “Legends of Oz: Dorothy’s Return”. He is currently filming for an upcoming comedy-drama film with Patrick Wilson, “Home Sweet Hell”, and a drama-thriller film starring Keanu Reeves and Gabriel Basso called “The Whole Truth”. A well-known actor, how rich is Jim Belushi? According to sources, Jim Belushi’s net worth is estimated to be $25 million, most of which he has accumulated from his involvement in the film and television industry. Jim Belushi was born in 1954, in Illinois, United States, where he studied at the Wheaton Central High School. Upon his graduation, he enrolled in the Southern Illinois University Carbondale, where he earned a BA in Speech and Theatre Arts. Belushi started his career by performing with “The Second City” improvisational comedy group. Soon he debuted on television screens in the sitcom called “Who’s Watching the Kids?”, and even made an appearance in “The Fury”, directed by Brian De Palma. Following the death of his brother John Belushi, Jim joined the cast of “Saturday Night Live”, where he played a variety of remarkable characters. Belushi rose to fame in 1985, when he starred opposite Tom Hanks in “The Man with One Red Shoe”, and a year later landed a role alongside Rob Lowe and Demi Moore in “About Last Night”. He was then cast for such films as “Once Upon a Crime”, “Taking Care of Business”, “Blues Brothers” with Dan Aykroyd, and “The Principle” among many others. Aside from his acting roles, Jim Belushi went on to provide voices for characters in “Scooby-Doo and the Goblin King”, Steve Williams’ “The Wild”, and “Babes in Toyland” with Lacey Chabert. 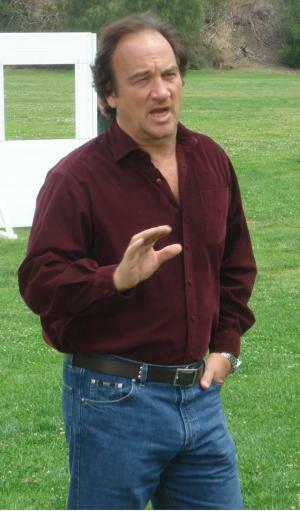 In regards to his personal life, Jim Belushi married Sandra Davenport in 1980, with whom he later had a child. The couple divorced in 1988, and two years later he celebrated his wedding to Marjorie Bransfield. However, they soon split up, and Belushi went on to start a relationship with Jennifer Sloan. They were married in 1998, and currently have two children together. TV Shows “Saturday Night Live”, “Who’s Watching the Kids?”, “The Fury”, "According to Jim" (2001-2009), "The Defenders" (2010-2011), "Scooby-Doo and the Goblin King"
1 In Mr. Destiny (1990) he played a baseball player; in Taking Care of Business (1990), he played a baseball fan. Both movies were released the same year. 3 (May 14, 2012) Announced that he has gout. 4 Early in his career he was offered a role on a proposed TV sitcom adaptation of Animal House (1978). Wanting to keep his career separate from his famous older brother John Belushi (who co-starred in the movie), Belushi declined. 5 He was nominated for a 1979 Joseph Jefferson Award for Actor in a Principal Role in a Play for "Sexual Perversity in Chicago" at the Apollo Theatre Center in Chicago, Illinois. 6 Member of the jury at the Venice Film Festival in 1991. 7 Though he is a life-long Chicago Bears fan, he shares a birthday with former Green Bay Packers coach Mike Holmgren. 8 His father Adam Belushi is an Albanian immigrant who left his native village, Qytezë, in 1934 at the age of 15, and his mother Agnes, was born in the US to Albanian immigrants. 9 Filed a $4-million lawsuit against neighbor Julie Newmar in 2004. He accused her of using harassment and defamation to force him from the Brentwood, California, street they share. A newspaper article quoted a resident not involved with the dispute as saying "She's weird" and "He's a bully." In January 2006 the two announced they had settled their differences out-of-court, and later that year Newmar guest-starred on an episode of According to Jim (2001) that poked fun at their feud by having Newmar play a neighbor who annoys Belushi's character. 10 Was originally set to co-star in Blues Brothers 2000 (1998), but couldn't due to scheduling conflicts. 11 Has a son, Jared James Belushi, with wife Jennifer Sloan (born February 8, 2002). 12 Has a daughter, Jamison Belushi (aka "Jamison Bess Belushi"), with wife Jennifer Sloan (born July 28, 1999). 13 Occasionally performs concerts with the Sacred Hearts Blues Band. 14 Co-owner of House Of Blues clubs with Dan Aykroyd. 15 Younger brother of John Belushi. 16 Son, with Sandra Davenport, Robert Belushi (b. 1981). Babes in Toyland 1997 performer: "The Worst Is Yet To Come"
Jingle All the Way 1996 performer: "The Little Boy That Santa Claus Forgot"
Destiny Turns on the Radio 1995 performer: "Viva Las Vegas"
The Pebble and the Penguin 1995 performer: "Looks Like I Got Me a Friend"
Taking Care of Business 1990 performer: "Take Me Out To The Ballgame"
The Principal scene “I have 2 words for you” in the auditorium and the anonymous response was a classic. It was probably Belushi’s idea.